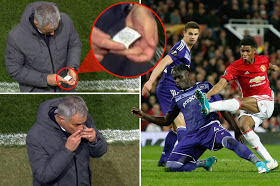 small item out of his pocket. 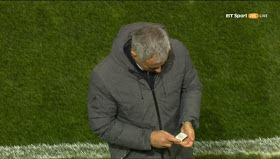 returned it to his pocket. Old Trafford on Thursday night. which he took a short look at. 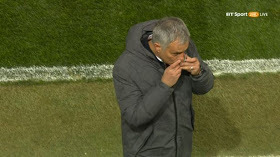 0 Response to "Jose Mourinho Spotted Kissing His "Lucky Charm" Before Manchester United Win(Photos)"